Environmental Education is. . . Essential, Exciting, Everywhere! “We will conserve only what we love. We will love only what we understand. We will understand only what we are taught.” ~Baba Dioum. What could be more important than learning to live well with ourselves, others and the environment? Relevant, hands-on learning is daily fare at Prairie Woods. Ponds, prairies, marshes, hills and hardwood forests are our classroom.Our programs enliven curiosity and wonder, helping people of all ages learn to respect and care for the environment that provides our daily needs. 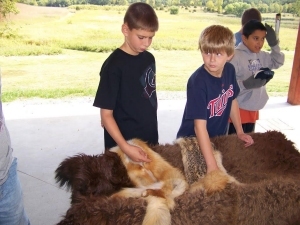 Prairie Woods programs combine guided exploration, classroom activities, outdoor recreation, and community-building to provide the best possible learning experience. 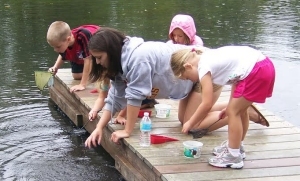 Programs are presented in the ways kids learn best: with engaging, interdisciplinary activities, in small groups. Outreach programs at your school. Custom-designed programs to suit your needs. program you want for your students.